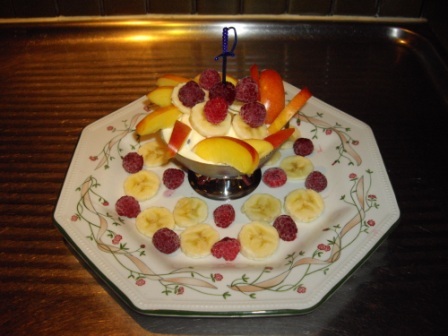 Fill the yoghurt in a dessert bowl and decorate with pieces of fruit. 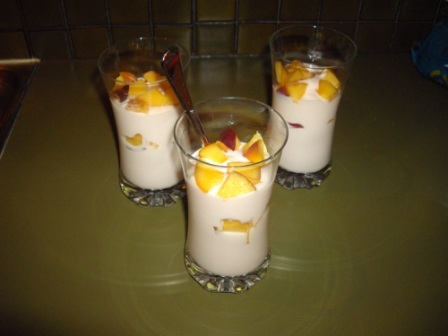 Layer the yoghurt and fresh peach into a dessert glass and serve. Use different flavored yoghurt and top with your choice of fresh fruit.